Indoor air quality is particularly important as we head into the summer and winter months. After all, we are spending a lot of time huddled up indoors, keeping out of the harsh weather. This is why we stress the importance of regularly changing your air conditioning filter regularly. Filter changes are important year round – particularly if you have pets, a lot of people in your home could suffer from allergies. In fact, if you have an older cooling or heating and air system, it can be a good idea to change your filter monthly. If not, you may only need to change your filter twice a year – once before the heating season and again before the cooling season. But, you are going to be the best judge of your filter changing needs. We Check the air handler filter and we clean or replace as necessary. We see which size you have. This way we can use the appropriate hardware for replacement. We also look for the filter. This may be the last step if it is located inside your air conditioner. We don’t want to start taking things apart to find the filter. Filters are often located in a return duct attached to the side or top of an air conditioner. We Remove the old filter and replace it with the new one, making sure that it is the correct way. It’s as simple as that! Check for adequate refrigerant charge. We check the refrigerant charge of the air conditioner or refrigerator to make sure they are cooling properly and efficiently. Check condenser and clean if necessary. We turn off the power. Then we vacuum grass clippings, leaves and other debris from the exterior fins with a soft brush attachment. Clear away all bushes, weeds and grass within 2 ft. of the condenser. Realign bent or crushed fins with gentle pressure. We unscrew the top grille. Lift out the fan and carefully set it aside without stressing the electrical wires. We pull out any leaves and wipe the interior surfaces clean with a damp cloth. For your split system we simply pull the filter carefully out, whilst being aware that the vent behind it is not damaged. Then rinse the filter in a sink or tub using a little dishwashing liquid and a soft brush to get any additional dirt out. It is best to let the filters dry naturally. Once the filter is dry we recommend going over it with a dust buster or the hose of a vacuum cleaner to get any left dirt. Once the filter is clean and dry you can just snap it back into the unit. If you have a ducted system unscrew the retaining nut. The frame will hinge downward exposing the filter. Slide the filter free from the frame. The best method is to hose the filter from the clean site until all the dust is off. Then you can hose from the other direction. Shake off any excess water and leave to dry naturally. Once it is completely dry, re-install the filter to the grill frame, close the frame and screw grill back together. We check the gas ofthe aircon unit to make sure that everything is working accordingly. The outdoor unit is also prefilled with the refrigerant or the gas from the factory. Most of the gas is filled in the condenser coil at very high pressure. Since the gas is filled at high pressure sufficiently large quantity of gas can be filled in the condenser, which is good enough to produce the desired cooling effect in the room. We chech the electirical charge for the air cnoditioner or refrigerator to make sure that everything is running smoothly. Inspection of eletrical is required to for safety and hazards. Part of the maintenance is to check all the modes and test them to make sure they are working efficently and that there arent any glitches. If there are any problem we fix it accordingly. For your split system we simply pull the filter carefully out, whilst being aware that the vent behind it is not damaged. Then rinse the filter in a sink or tub using a little dishwashing liquid and a soft brush to get any additional dirt out. It is best to let the filters dry naturally. Odor Treatment // Fresh Blast. We Turn off the power to the air conditioner at the breaker box. Then We Open the evaporator coil cover, this is usually inside the home near the air handler and is covered by two panels in the shape of an a-frame. Some panels are held in place by screws, others simply lift out of the frame. Run a stiff piece of wire through the condenser pan drain. A straightened clothes hanger works well. Push out any dirt or debris that might be clogging the drainage hole. Brush away any mold or dirt in the pan, and rinse with clear water. Add condenser pan cleaner to the drain pan according to the manufacturer’s directions. pray coils with coil cleaner, following the manufacturer’s directions, to remove any remaining dirt, mold or bacteria. Slide the filter out of the cooler. Inspect the filter for dirt, debris and mold. If it is not clean, or has been in use for three or more months, replace the filter. Replace the evaporator coil panels. Remove the panel covering the condenser coils on the air conditioner unit located outside. Rinse the coils with water, using a hose and sprayer. Spray the coils with condenser coil cleaner. Replace the panel covering the condenser coils. Wait for the exterior portion of the cooler to dry. Turn the power back on to the cooler. Check Condenser Fan Blades for Tighness. The condenser unit fan is a blower that moves outdoor air across the condensing coil found in the outdoor compressor/condenser unit. The movement of outdoor air across the condensing coil transfers heat to outdoor air and allows high pressure/high temperature refrigerant inside the condensing coil to condense from a gas back to a liquid refrigerant. We Tighten then electrical conections to make sure system stay operational. Check Voltage At Unit Under Load. We test the unit under load to make sure it performs correctly under preassure. Part of the maintenance is to check all the modes and test them to make sure they are working efficently and that there arent any glitches. If there are any problem we fix it accordingly. Turn the air conditioner on at the thermostat and allow it to run for at least 30 minutes. Locate the air conditioner air handler unit in the house heating, ventilation and air conditioning closet or up in the attic. Inspect the overflow pan visible under the air handler with a flashlight for evidence of water. This indicates overflow from the primary collector pan sealed inside the coil compartment. Locate the primary PVC drain pipe where it emerges from the sealed coil compartment. Unscrew the cap from the clean-out tee fitting in the drain pipe, insert a funnel into the tee fitting and slowly pour about a gallon of water into the drain line to verify that the primary drain line is open. Replace the tee fitting cap. Pour another gallon of water slowly into the overflow pan under the air handler and observe the water level in the pan to verify that water drains freely into the secondary drain line. Clearly, the air conditioner blower is an absolutely indispensable part of an air conditioning unit. Unfortunately, like most fans, it’s also prone to the damage and disrepair that can cause annoying banging and clanging noises, or even worse, fail to produce cold air. Checking the safety controls is important to ensure the device is operating safetly. We make any repairs or reccomendations of anything that needs repairs or futher services. We see which size you have. This way we can use the appropriate hardware for replacement. We also look for the filter. This may be the last step if it is located inside your air conditioner. We don’t want to start taking things apart to find the filter. Filters are often located in a return duct attached to the side or top of an air conditioner. We Remove the old filter and replace it with the new one, making sure that it is the correct way. It’s as simple as that! We turn off the power. Then we vacuum grass clippings, leaves and other debris from the exterior fins with a soft brush attachment. Clear away all bushes, weeds and grass within 2 ft. of the condenser. Realign bent or crushed fins with gentle pressure. We unscrew the top grille. Lift out the fan and carefully set it aside without stressing the electrical wires. We pull out any leaves and wipe the interior surfaces clean with a damp cloth. Spray the fins using moderate water pressure from a hose nozzle. Direct the spray from the inside out. Reinstall the fan. For your split system we simply pull the filter carefully out, whilst being aware that the vent behind it is not damaged. Then rinse the filter in a sink or tub using a little dishwashing liquid and a soft brush to get any additional dirt out. It is best to let the filters dry naturally. Once the filter is dry we recommend going over it with a dust buster or the hose of a vacuum cleaner to get any left dirt. Once the filter is clean and dry you can just snap it back into the unit. If you have a ducted system unscrew the retaining nut. The frame will hinge downward exposing the filter. Slide the filter free from the frame. The best method is to hose the filter from the clean site until all the dust is off. Then you can hose from the other direction. Shake off any excess water and leave to dry naturally. Once it is completely dry, re-install the filter to the grill frame, close the frame and screw grill back together. We check the gas ofthe aircon unit to make sure that everything is working accordingly. The outdoor unit is also prefilled with the refrigerant or the gas from the factory. Most of the gas is filled in the condenser coil at very high pressure. Since the gas is filled at high pressure sufficiently large quantity of gas can be filled in the condenser, which is good enough to produce the desired cooling effect in the room. We Turn off the power to the air conditioner at the breaker box. Then We Open the evaporator coil cover, this is usually inside the home near the air handler and is covered by two panels in the shape of an a-frame. Some panels are held in place by screws, others simply lift out of the frame. Run a stiff piece of wire through the condenser pan drain. A straightened clothes hanger works well. Push out any dirt or debris that might be clogging the drainage hole. Brush away any mold or dirt in the pan, and rinse with clear water. Add condenser pan cleaner to the drain pan according to the manufacturer’s directions. Remove dirt, debris and moisture from the coils. Brush off obvious dirt with a soft, clean rag, then vacuum out remaining dirt with a wet/dry vacuum. Spray coils with coil cleaner, following the manufacturer’s directions, to remove any remaining dirt, mold or bacteria. Slide the filter out of the cooler. Inspect the filter for dirt, debris and mold. If it is not clean, or has been in use for three or more months, replace the filter. Replace the evaporator coil panels. Remove the panel covering the condenser coils on the air conditioner unit located outside. Rinse the coils with water, using a hose and sprayer. Spray the coils with condenser coil cleaner. Replace the panel covering the condenser coils. Wait for the exterior portion of the cooler to dry. Turn the power back on to the cooler. The condenser unit fan is a blower that moves outdoor air across the condensing coil found in the outdoor compressor/condenser unit. The movement of outdoor air across the condensing coil transfers heat to outdoor air and allows high pressure/high temperature refrigerant inside the condensing coil to condense from a gas back to a liquid refrigerant. We test the unit under load to make sure it performs correctly under preassurePart of the maintenance is to check all the modes and test them to make sure they are working efficently and that there arent any glitches. If there are any problem we fix it accordingly. Turn the air conditioner on at the thermostat and allow it to run for at least 30 minutes. Locate the air conditioner air handler unit in the house heating, ventilation and air conditioning closet or up in the attic. Inspect the overflow pan visible under the air handler with a flashlight for evidence of water. This indicates overflow from the primary collector pan sealed inside the coil compartment. Locate the primary PVC drain pipe where it emerges from the sealed coil compartment. Unscrew the cap from the clean-out tee fitting in the drain pipe, insert a funnel into the tee fitting and slowly pour about a gallon of water into the drain line to verify that the primary drain line is open. Replace the tee fitting cap. Pour another gallon of water slowly into the overflow pan under the air handler and observe the water level in the pan to verify that water drains freely into the secondary drain line. The air conditioner blower is basically the fan inside of an air conditioning unit that blows air through a cooling coil, which transforms the air into an arctic blast refreshing your home on hot summer days. Clearly, the air conditioner blower is an absolutely indispensable part of an air conditioning unit. Unfortunately, like most fans, it’s also prone to the damage and disrepair that can cause annoying banging and clanging noises, or even worse, fail to produce cold air. We check for vibration or noise because this could be an indication that something is not right with the device, or something may be miss placed. Air Conditioning Perth, at your service. Everest HVAC & R are Perth’s professional aircon installers who are thoroughly experienced when it comes down to air conditioning & refrigeration intallation & servicing , Western Australian Air Conditioning industry. We are the air conditioning experts in Perth, Western Australia, so we know what will work and what does not work for air conditioning. 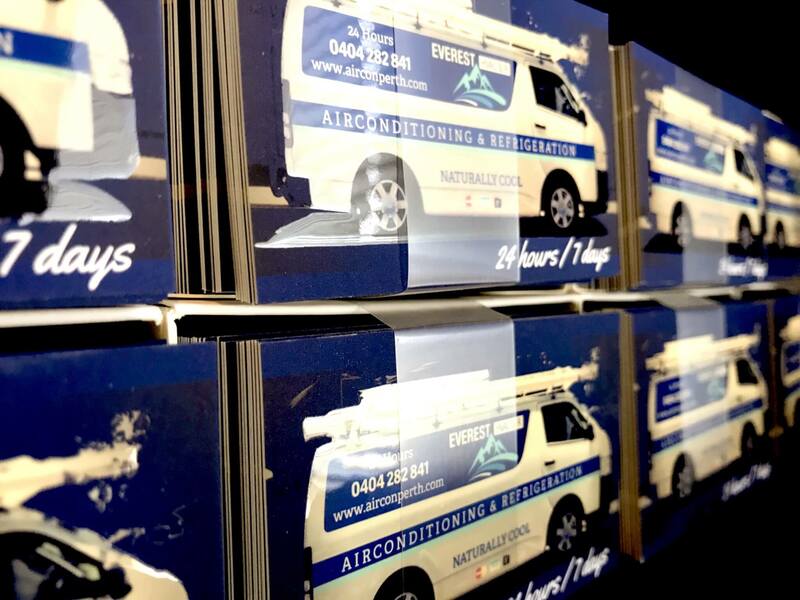 There have been many changes in the Perth’s air conditioning industry over the years, and we ensure that our air conditioning products, aircon services and air conditioning Perth procedures exceed industry standards at all times and we always keep our Aircon Perth customers in mind. The intensity of Perth’s Summer heatwaves are peculiar to Perth and its surrounding suburbs such as Mandurah, Northam and Bunbury. Many foreign designed Reverse Cycle Ducted Air Conditioning units are simply not built to cope with this type of heat in Perth. As a result, many poorly chosen air conditioners will fail to perform when you need them most. Even the best Reverse Cycle Ducted Air Conditioning Perth units need periodic care and maintenance. Ensure you choose Everest HVAC & R as your prefered supplier & service. We can back up our air conditioning installations & servicing with dedicated ongoing support and maintenance with excellent pricing and expert aircon servicing. Cheaper Reverse Cycle Ducted Air Conditioning units tend to be made with inferior components and design. As a result they can be expensive to run. This is especially the case in Perth’s hot summers – where the hot climate will test your aircon unit like nowhere else. Air Conditioning Service in Perth, Western Australia. We specialise in ducted airconditioning Perth, Western Australia. We are also experts in reverse cycle air conditioning Perth and promote brands such as Daikin air conditioning, Samsung air conditioning, Carrier air conditioning and Fujitsu air conditioning. 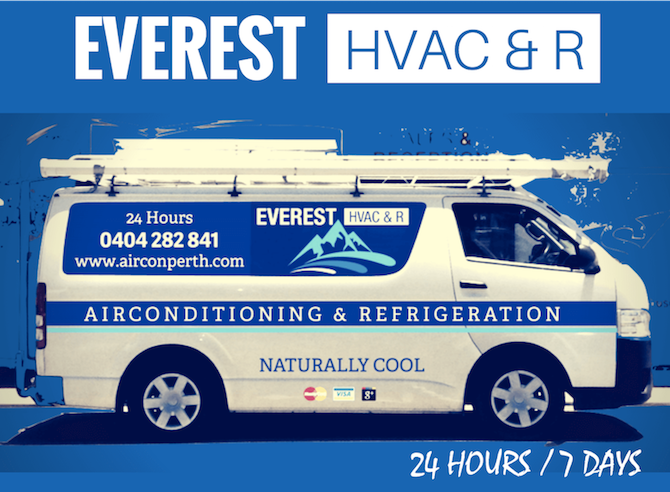 Everest HVAC & R proudly provides aircon Perth maintenance and aircon service options for your air conditoning system to keep you going throughout Perth’s summer and winter. We have been operating in Alkimos, Western Australia since 2012 and our focus is to provide the best quality service to our Alkimos clients. We Specialise in Alkimos ducted air conditioning and we are also qualified in reverse cycle air conditioning Alkimos. We service all areas of Alkomos including surrounding suburbs such as Yanchep, Eglinton and Jindalee. Need soakwells in Alkimos? Visit Alkimos Soakwells.